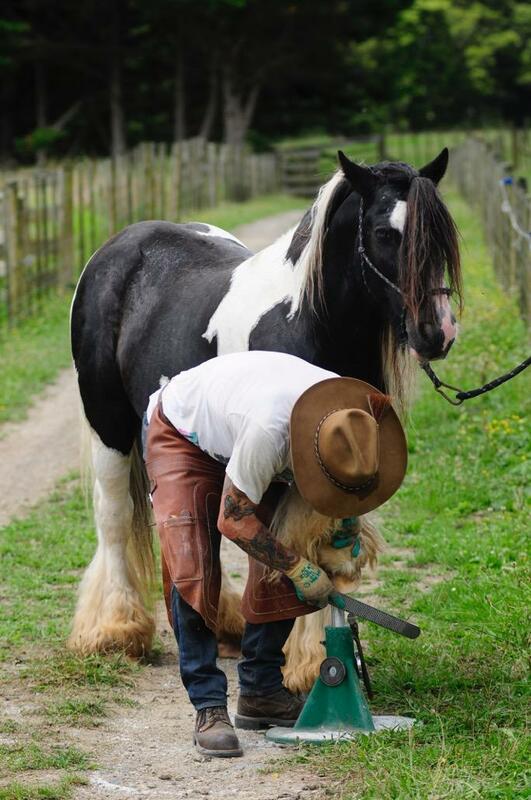 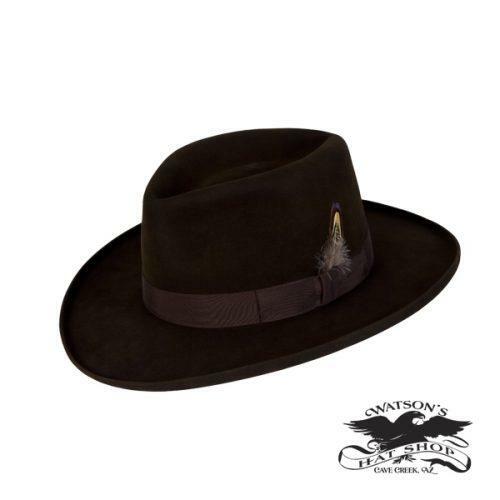 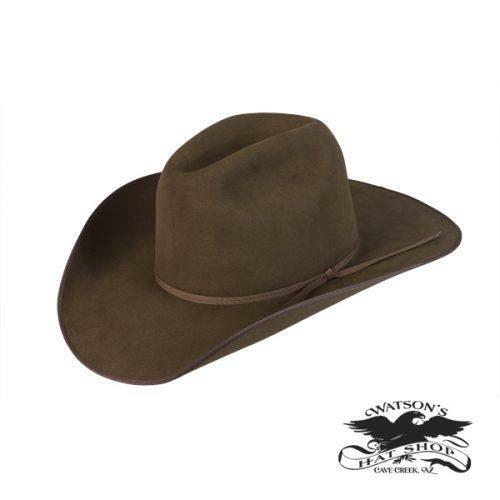 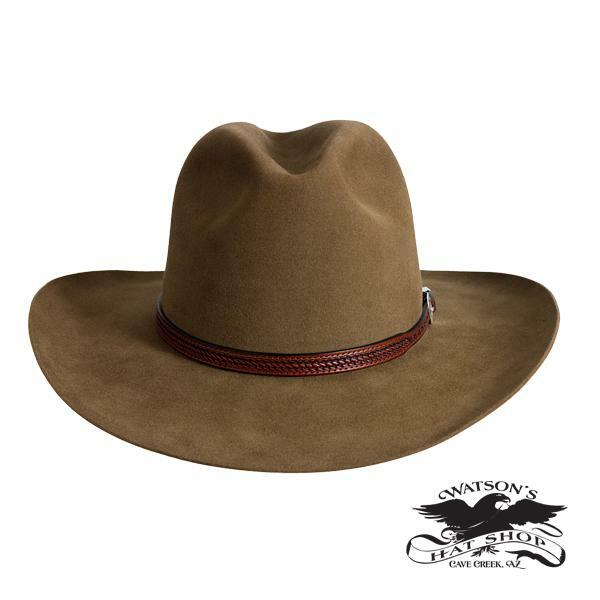 Watson’s Aussie Cowboy Hat is the style of an Aussie with some cowboy flare. 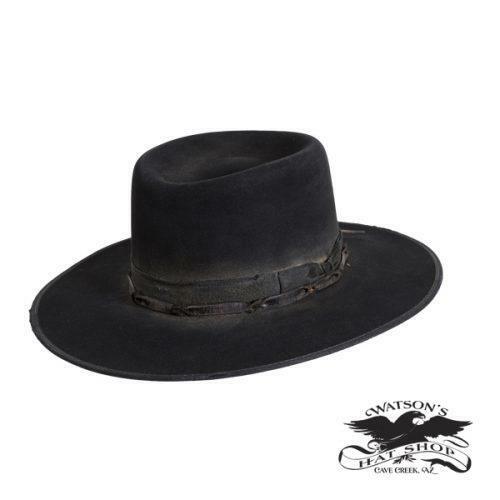 The hat band shown on this hat is hand tooled leather. 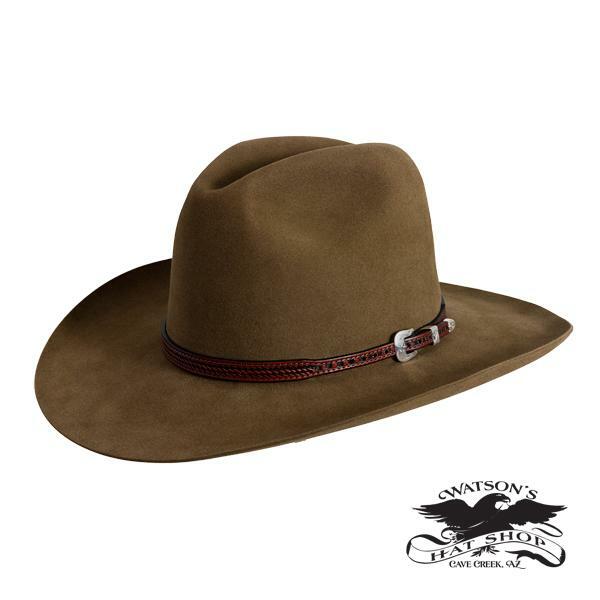 Has a great basket weave design with a silver metal buckle set. 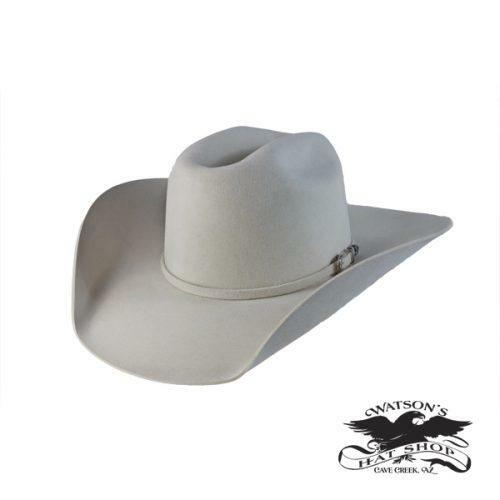 This hat has a wider brim and center dent crown that gives it just a great look when worn.